Surround yourself with successful Entrepreneurs and never underestimate the power of work experience and strong mentorship in your journey as an Entrepreneur..." ~ Christine Cibula, M.S. CC has co-created products, programs, and business infrastructure to grow significant revenue streams while serving clientele. Many businesses reached and surpassed the million dollar mark and subsequent multimillion dollar mark in earnings during that time. In addition to working in the businesses of first generation self-made millionaires, CC has studied extensively with the Best Of The Best in the Entrepreneurial Industry, many of whom are pictured here. One of the most significant things learned working with the Best Of The Best has been and continues to be the importance of strong mentorship. CC prides herself on her insatiable desire to learn best practices while inspiring Entrepreneurs on their journey to success. At any given time CC is reading several books, engaged in a home study program, working with her own mentors to stretch and grow as an Entrepreneur. She is known for generously sharing her knowledge and expertise in her coaching clients' businesses. CC also has a unique traditional psychology and business educational background that she brings to her clients. 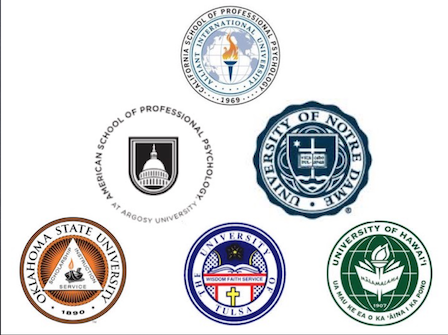 She studied graduate cognitive and behavioral psychology, counseling psychology, clinical psychology, health psychology, and industrial-organizational psychology and business studies including entrepreneurship at The University of Notre Dame. Her graduate studies lasted for a decade after graduating with my B.A. in Psychology. She graduated with her Master's of Science in Industrial-Organizational (i.e., Business) Psychology from the California School of Professional Psychology in San Diego, California. The combination of academic training and real world entrepreneurial training and entrepreneurship provide a solid foundation for strategic business planning, visioning big picture dreams, and knowing the action steps it takes to live into those dreams. In addition, CC's greatest career focus has been on high-end product and program creation including a two-week boot camp, train the trainer program, hiring and operations manuals, information product creation, representation at seminars and trade show events, marketing mastery annual program coordination, training delivery, and high-end client consultations as well as specialized training delivery. There's a reason why one of her most successful clients once exclaimed, "CC, you tap dance in my head!"